Holder Mathias is an award-winning architecture practice that has been creating projects of enduring value for over forty five years. They have offices in London, Cardiff and Munich. 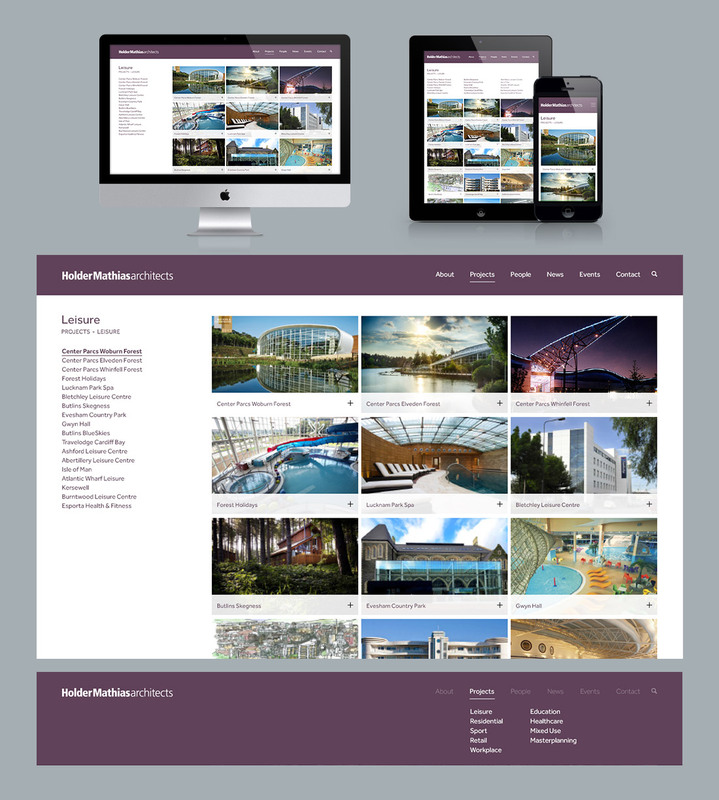 We were initially appointed to bring the existing website up to date with current technology standards and full responsive design. 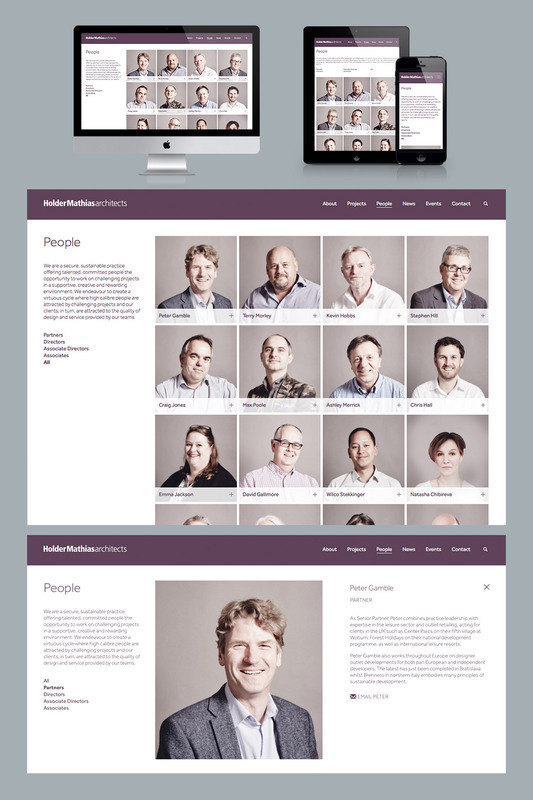 After meeting, listening to, and gaining the practice’s trust, we helped to uncover design solutions that better matched the practice’s ethos to create a website that meets their needs and speaks to their clients. The new site features easy top-level navigation and opens with a cinematic homepage. Carefully considered design is used across all pages with new project galleries, contact pages for each studio, and plenty of space for the practice’s projects and people to shine. 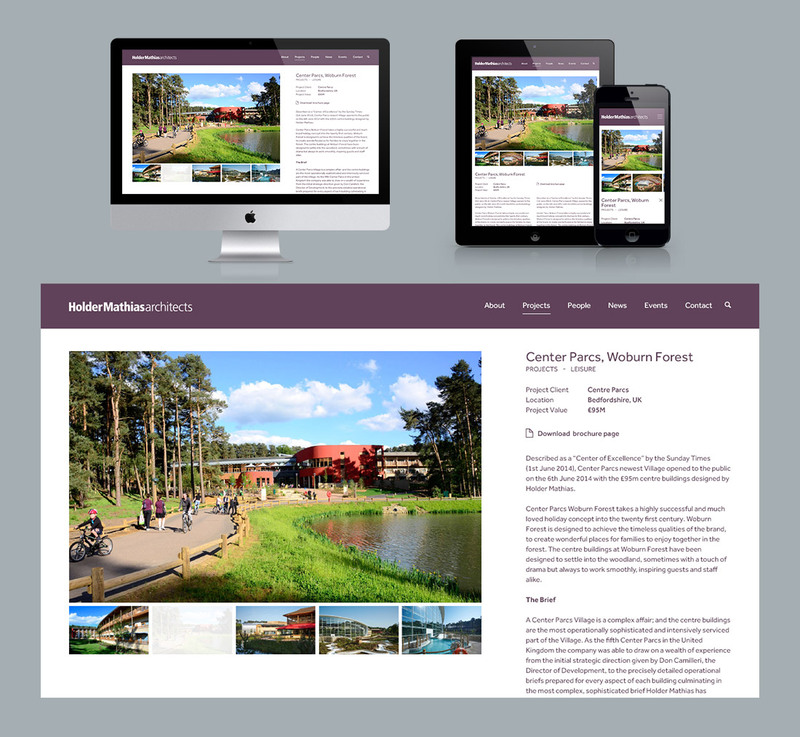 The fluid responsive design means the site behaves well from desktop to tablet to mobile.